You never leave your whipping cream unattended in the mixer, do you? So you never come back to said mixer to find over-whipped cream, right? Me either! Ok, except maybe this one time when I wanted to show you how to fix it. 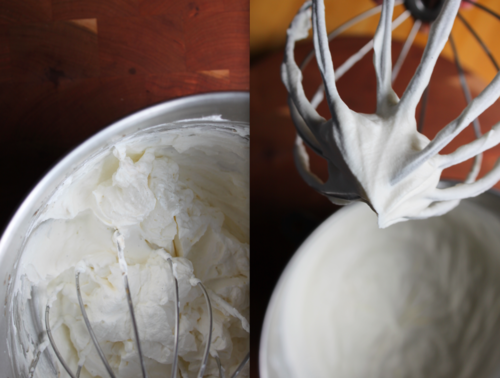 Add a few tablespoons heavy cream to the whipped cream and whisk in slowly by hand. It won't help you if you've made butter from your cream and it might not be quite as silky, but at least dessert won't be ruined. I mean could you imagine? !